IHG will run another one of their famous flash sales for IHG Rewards Club members in a few days and we wanted to give you a heads up! 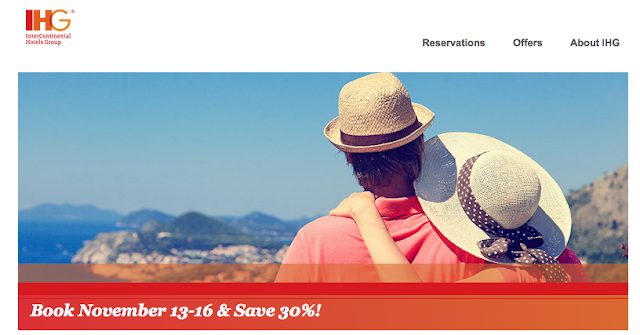 "Book November 13th through 16th for a 30% discount off the Best Flexible rate. This discount is available for stays of at least two nights from November 14th, 2015 through June 16th, 2016 in more than 200 hotels in Mexico, Latin America and the Caribbean"
You will be able to book this offer via this link beginning on November 13th!